SermonAudio.com | SermonAudio Tip: Find sermons faster by using our subset filter! 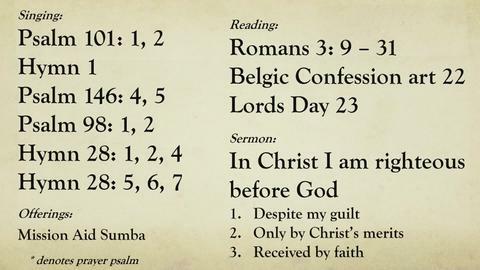 Find sermons faster by using our subset filter! It's easier than ever to find the sermon that you're looking for from the library of free MP3 audio sermons here on SermonAudio! Use the "narrow results by subset" drop-down selector on virtually every sermon search listing to help you find that sermon you're looking for that much faster! It is most effective when viewing sermons from a specific broadcaster with the "Sermons" link on their homepage. From there, you can narrow your search results by date, broadcaster, speaker, Scripture, event type, sermon series, sermon length, media type, or broadcaster-submitted sermon topic. Bonus for PLUS and FULL Members! You can also narrow your search by "MY Favorite Broadcasters" and "MY Favorite Speakers"! If you are logged into the site and have added favorite speakers or broadcasters then you'll be able to see only the broadcasters/speakers in the search results YOU want to see! You can also filter your search results by entire groups of churches, for example, all churches in the same denomination. The available church groups in the subset filter are currently defined by the MINI site or by the Denomination/Group field in your homepage EDIT settings. Additionally, MINI groups are listed in the Search Filter of the Local Church Finder to help visitors find a church in your denomination faster! Need to find a short audio to listen while running a quick errand? You can easily find audio by its length (30 minutes, 10 minutes, or even 5 minutes!). Some areas that you can use the "length" filter include the Newest Media Added section, the Sermons by Speaker section, and the Sermons by Topic section… in addition to any specific broadcaster homepage sermon listing. Local Sermons. Local Churches. Finding sermons preached in your local area has never been easier! Now all you need to do is select the My Local subset filter in virtually any sermon search result listing and instantly view only those sermons preached in churches that are local to you! Easily keep up with the newest sermons preached in your area or hear what local area churches are saying about a certain topic. We're in the business of helping the local church. See all the ways here..
Give it a try and enjoy being able to find things faster! This video tutorial is part of a growing number of screencasts. Let us know if it's been a help to you!